Editor’s Note: WF&M recently sat down with Justin Reeves, P.E., project manager, and Bob Card, P.E., chief pipe engineer, at Lockwood, Andrews & Newnam, Inc. (LAN), a national planning, engineering and program management firm, to get their take on the economic impact of pipe selection and specification in the water sector. The following discussion provides an overview on pipe materials, design considerations, variables and other project challenges that can impact pipe material selection. WF&M: What key factors should a buyer consider? If multiple pipe materials are bid on a job, what variables need to be considered before deciding which pipe material is appropriate for the project? Project area development or density relative to pipe lay lengths. These are just examples, but every project brings a unique mix of challenges and priority of needs. Proper design should consider these variables in planning, design and bid. WF&M: Can you briefly recap the most common pipe materials used in potable water transmission and distribution projects today? Are there any common trends for specifying these potable water materials? Our industry continues to bring new products to market. However, the trend is to stick with proven products. For this reason, we see Polyvinyl Chloride (PVC) and ductile iron pipe in smaller distribution systems. In large-diameter transmission systems (66-in. diameter and greater), we see steel and prestressed concrete pressure pipe as the major players. The encouraging trend we see is the increased competition in the middle range diameters (approximately 24- to 54-in.). Here, we see competition from PVC, ductile iron, bar wrapped concrete pressure and steel pipe. Others, such as High-Density Polyethylene (HDPE), stainless steel or Fiberglass Reinforced Plastic (FRP) can even join the mix based on project-specific conditions and appropriate design. This can increase the design team efforts to account for differences in pipe material, but owners can win on bid day. The more materials available on bid day, the better the competition, which lowers bid prices for owners. WF&M: What types of pipe are most common in wastewater applications today? Are there any common trends right now for specifying materials in collections systems? The common materials today in wastewater applications are FRP, PVC, HDPE and ceramic-lined ductile iron pipe. Plastic products provide resistance to corrosion from hydrogen sulfide gases common in sanitary sewer systems. Thus, their use is widespread as an alternative to Reinforced Concrete Pipe (RCP), which was common in larger collection systems. PVC can now be manufactured in diameters up to 60 inches. Well-known and trusted by owners, this material will provide more competition in large-diameter projects. Technical challenges will push engineers to consider other products. 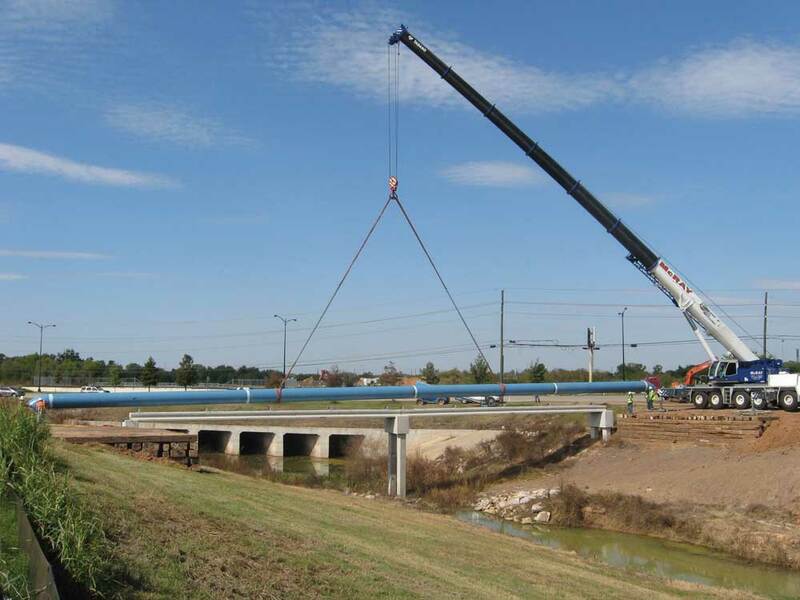 In recent years, we have seen polymer reinforced concrete pipe considered in heavy loading conditions and epoxy-lined and polyurethane-lined steel pipe used in long spans of creeks. Engineers are even considering installing RCP with a cured-in-place liner to get both structural integrity and corrosion resistance. Our industry has come a long way since Vitrified Clay Pipe (VCP) and RCP. Nowadays, engineers have plenty of options. WF&M: Does the pipe material selected for a water or wastewater project have an impact on other types of products or materials used – valves, for example? Without a doubt! Unfortunately, these design considerations vary. As an industry, we do a good job designing pipe, valves and appurtenances. Our industry is guided by technical standards that, when properly utilized, yield effective designs. However, these standards are specifically written for a system component. For example, AWWA C504 guides the design of butterfly valves from three to 72-inches in diameter and AWWA M11 guides our design and installation for steel pipe. But, there is little information on how the two should be designed to work together, and this cannot be overlooked during design.Pipe and appurtenances are two components of a greater system. If we fail to design the pipe with proper consideration for the appurtenances they support, we aren’t doing our job well. Too often we simplify design, but the pipe, the appurtenances, the flanges, and even the bolts and gaskets must be considered and designed together. WF&M: Does a trenchless application, such as an HDD or microtunneling installation, favor any particular pipe material? The pipe should be designed based on the method of installation, because every method imparts different forces on the product. Any trenchless installation requiring a casing has cost implications as different materials have differing outside diameters. The premium adds up in projects with a large amount of casing. For example, a liner plate can increase costs by $35 per linear foot in material alone for a 6-in. diameter change. For pipe bursting or directional drilling, there are pipe products that physically cannot meet the design criteria or installation loading. HDPE or fusible PVC pipe is often used in pipe bursting or directional drilling, with HDPE being the most widely utilized product. Steel and ductile iron pipe have also been utilized in HDD projects but rarely compete if directly bid against HDPE. Occasionally, either HDPE or steel have been “single sourced” due to the design loads of the project. 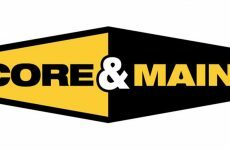 WF&M: Similarly, are there any particular benefits regarding the selection of pipe materials for open cut applications? This can be a touchy subject, as opinions abound and are quite strong based on geographic location or experience. The short answer is yes. Pipe is structurally designed primarily in two ways – either as a rigid or a flexible pipe. Industry terminology includes semi-rigid pipe, but when it comes down to it, that pipe is also designed as a flexible conduit. For flexible pipe (e.g. steel, DIP, HDPE, PVC or FRP), embedment is more critical, particularly as the diameter increases, because the pipe interacts with the surrounding soils to gain total system structural integrity. Proper flexible pipe design includes specifying trench width, embedment material and gradation in the pipe zone, and compaction or consolidation requirements in that zone. All of this impacts the purchasing decision. So, for example, if suitable embedment materials are not locally available, one may benefit from specifying a properly designed rigid product. Alternatively, in rapidly developing areas where construction may require field adaptation, a flexible product (such as steel) is likely to prove more beneficial. WF&M: A seemingly constant challenge in the industry when it comes to pipe materials is how pipe is affected by corrosion. How much emphasis do owners and engineers place on specifying more corrosion-resistant pipe materials? The emphasis of owners and engineers varies based on the geography, experience, and product conveyed by the pipeline. The wastewater collection industry has moved toward corrosion-resistant products in the last 20-plus years. PVC, HDPE, and FRP pipe materials give engineers and owners several options to convey a corrosive product. Tackling corrosion in water conveyance is more difficult, particularly in larger diameter pipelines. We recommend installing test stations on any new water transmission pipeline (that isn’t a plastic pipe product) along with bonding the pipe joints, even if the soil chemistry indicates no problem. Test stations and bonded joints are simple to install and can serve as insurance to your pipe over time as the environment changes. But, another challenge in cathodic protection is maintenance and operation. 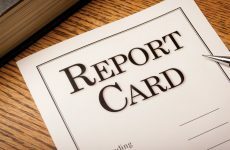 Every system should be commissioned by a trained professional when it goes into service, monitored by operations personnel, and re-evaluated by a NACE-certified professional. 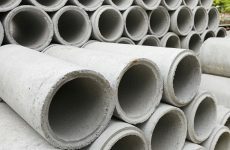 WF&M: Are there any notable misconceptions in the water industry right now about pipe materials? How do you dispel those misconceptions? Semi-Rigid Pipe: Yes, semi-rigid is stiffer than flexible products, but that does not mean handling and embedment are not important. Rigid Pipe Embedment: We regularly hear that embedment doesn’t matter in rigid pipe. Such a design comes at a cost. Embedment for rigid pipe may be less critical, but it still matters. Pipe-to-Valve Interaction: When a valve fails to operate or is not drip-free, the questions begin. Was the valve design insufficient? Was it the pipe? A valve or appurtenance cannot be designed independent of the pipe. You can’t design a building floor without the walls and foundation. Pipeline design works the same way. Often owners say, “we’ve always used this pipe material.” However, that doesn’t make it the best choice. HDPE might work in most HDD projects but there are projects where ductile iron pipe or steel may be better. Consider the end use, installation, service life, etc. when choosing materials. 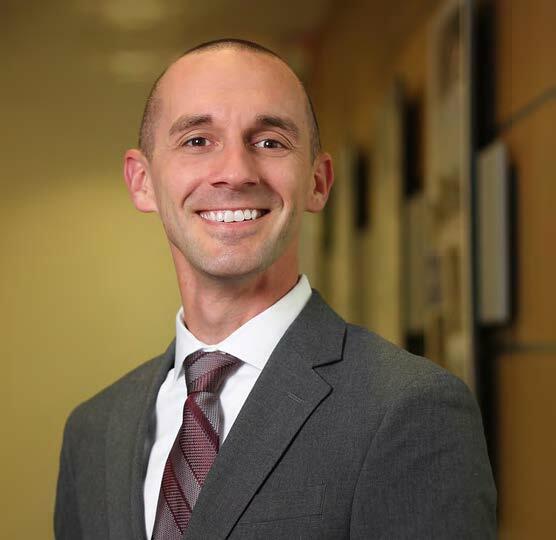 Justin Reeves, P.E.is a project manager at Lockwood, Andrews & Newnam, Inc. (LAN), a national planning, engineering and program management firm. 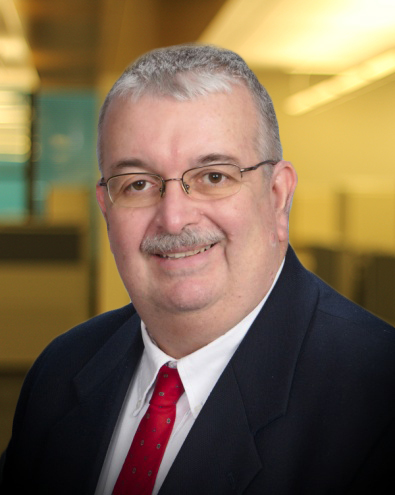 Bob Card, P.E.is chief pipe engineer at Lockwood, Andrews & Newnam, Inc. (LAN).